I firmly believe that everyone should be allowed to eat dessert every single day of their life without having to have all the excess calories, sugars, fats, etc. I for one, can’t go a night without dessert–it’s pure torture. I mean, why not? Why can’t dessert be a beneficial snack? That is exactly why I created this blog. No person should ever go without cookie dough!!! 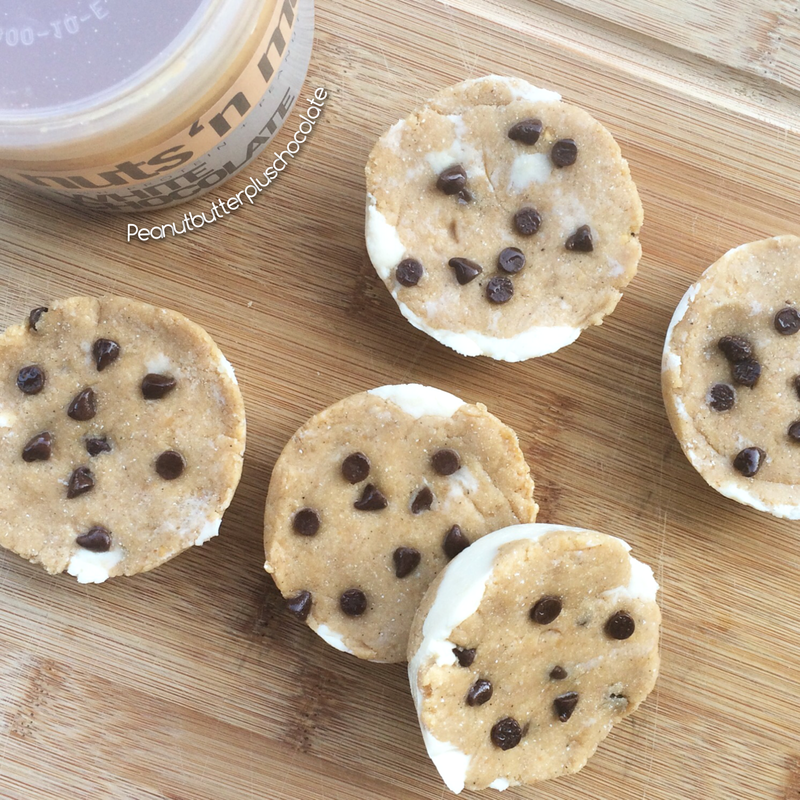 These secretly healthy Cookie Dough Cheesecakes would actually make the perfect pre-workout snack. I made these using chick peas, protein powder and low fat cream cheese. 1. Rinse chick peas and make sure all the skins are off by rubbing them between your hands under running water. It’s time consuming but totally worth it! Pulse all cookie dough ingredients (except chocolate chips) in a food processor until smooth. You will have to stop to scrape the sides a bit but just keep pulsing and it will happen. 2. Fold in chocolate chips and then separate dough into 20 even size pieces and place them on a piece of parchment paper while you prepare your cheesecake filling. 3. Mix all cheesecake ingredients together using a fork. 4. Press 10 pieces of cookie dough into the bottom of a silicone cupcake mold or a regular cupcake tin with cupcake liners. 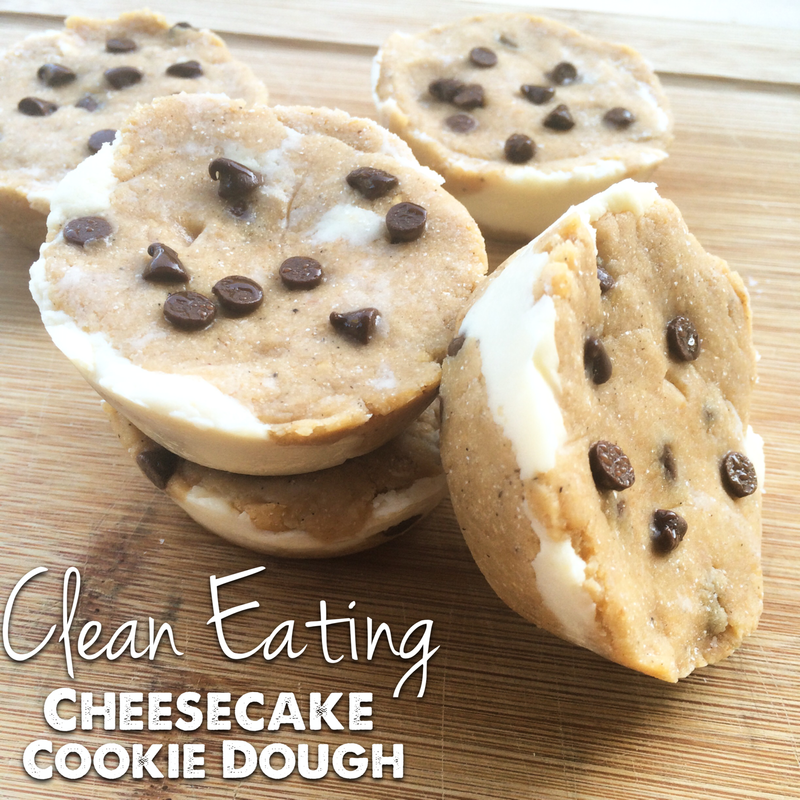 Scoop about a tablespoon of cheese cake filling over the cookie dough layers. Place the remaining cookie dough pieces on top of the cheese cake filling and press flat. Optional: Sprinkle with chocolate chips. 5. Place in the refrigerator for 2 hours to chill. Serve cold. Enjoy!